It was 1998, a few months before I’d leave journalism to join the US government as a media advisor. I was at Business India as an assistant editor covering the interface between business and governments. I was at the Mumbai Municipal Corporation building waiting for my appointment with the Municipal Commissioner. In the waiting lounge were George Fernandes and Sharad Rao. Fernandes, if I recall right, was recently appointed minister in the AB Vajpayee government (Vajpayee’s second stint). As a journalist, I’d maintained cordial ties with Sharad Rao, but I’d no real connection with Fernandes. However, when he saw me there, he beckoned me and asked about Meghnad, who had passed away a year ago in 1997. He asked about Durga, about how I was doing, put his hand on my shoulder and patted me. Sharad Rao stood beside him with tears welling up in his eyes. Just then, they were called for their appointment. 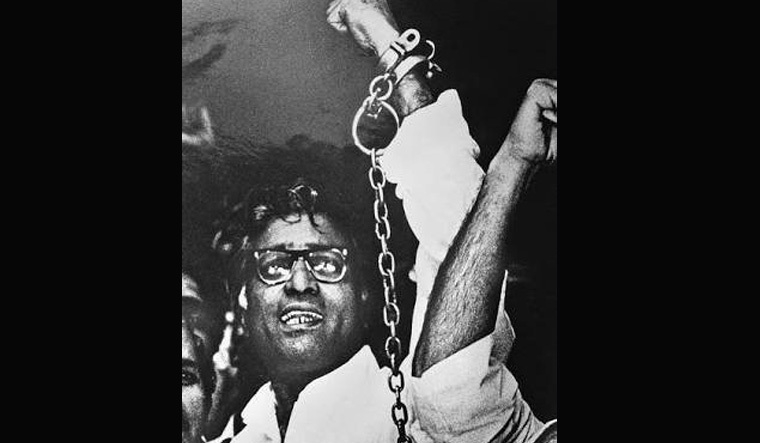 George Fernandes, the firebrand trade union leader, who was now a minister again, hadn’t forgotten his roots or his old supporters. Meghnad was a close associate of Fernandes when he began his journey into national politics. The 1967 elections, when Fernandes defeated SK Patil, was historical in many ways, and especially so personally to our family because Meghnad worked tirelessly with a bunch of other young men and women to help Fernandes win. Fernandes’s meetings would be held in our two-room tenement at Princess Street. These young men and women shared a vision of a new India that would be just, would ensure equality and where workers’ rights were not trampled upon. Surprising many political observers, Fernandes won handsomely and went to the Indian Parliament. Sharad Rao and Meghnad were among the many of Fernandes’s lieutenants who had the opportunity to join him; Meghnad didn’t because he wasn’t sure how he’d support his fledgling family. Sharad Rao did and prospered. Meghnad continued to work at Mafatlal’s and in the mid-1970s launched the first trade union with Fernandes and Sharad Rao at the Mafatlal Centre in Nariman Point. This was after Arvind Mafatlal, the head of the Mafatlal group, threatened Meghnad to get him arrested under the draconian MISA. During the Emergency, Meghnad became – like many others – a conduit for information sharing through informal networks. There’d be heated debates amongst his friends on the torture that Fernandes’s associates such as Snehalata Reddy had to face. After George’s arrest, his election victory, the formation of the Janata Party, the political equations changed. Meghnad didn’t share the visceral anti-Indira Gandhi sentiments that had brought all the opposition together. He was deeply suspicious of Morarji Desai’s brand of Gandhian politics, as he was of the Jana Sangh brand of ultra nationalism. In fact, the socialists (especially of the SSP variety) were vociferous in their demand that the dual membership of the Jan Sanghis – into RSS and the Janata Party – shouldn’t be allowed, which eventually split the Janata Party. Meghnad and his generation totally supported Fernandes’s decisions as a minister in the Janata government to drive IMB and Coke out of India. Throughout the 1980s, Fernandes remained a towering figure for many. The anti-Congressism of those days is similar to the anti-Modi politics of today – it united every political party. And Fernandes was a key figure in that schema. There were some irksome decisions and actions that Fernandes took then – such as joining forces with Bal Thackrey to defeat Datta Samant in the 1980s – which were an indication of pliable politics that George would adopt rather dexterously and shamelessly in the future. Throughout his political career, the sole focus of Fernandes’s politics was the defeat of Congress at any cost. In the mid-1990s, he’d no qualms joining hands with the Bharatiya Janata Party. I remember telling Durga, after the second Vajpayee government was formed, that it was good that Meghnad had passed away before he’d have to see the ultimate capitulation of the socialist dream. The next decade saw the total and willing immersion of Fernandes into the quagmire of political shenanigans, including accusations of corruption and bribery, leading to his resignation and then subsequent political humiliation by the likes of Nitesh Kumar, leaders whom he’d created. But Fernandes will be remembered for standing up for justice, giving hope and allowing the common Indian and especially Mumbaikar to dream of a better tomorrow.